Queen Mary 2’s existing Winter Garden lounge will be transformed into a stylish and elegant all-day venue under new proposals outlined by Cunard Line last week. The changes, which will take place as part of QM2’s multi-million pound refit in 2016, are inspired by the heritage of the cruise line’s Carinthia ocean liners — which sailed under Cunard livery during the early part of the 20th century. 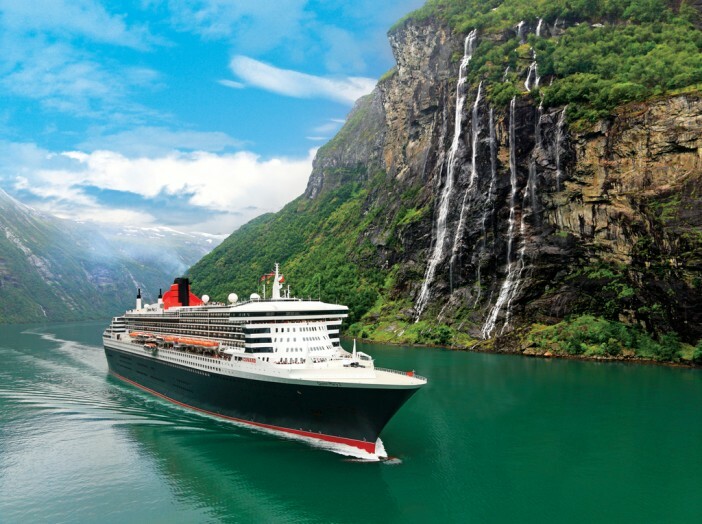 The new Carinthia-inspired lounge will be added to Queen Mary 2 — which is considered Cunard’s flagship vessel — as part of the ship’s scheduled dry dock refit in 2016. Featuring powder blue, cream and gold décor, as well as a “wine wall”, walnut dance floor and art-deco style screens, the new Carinthia lounge will add a touch of renewed elegance to this prestigious liner. Rather than it being exclusively used for evening events; guests travelling aboard Queen Mary 2 after the refit will be able to relax and unwind in the new lounge throughout the day — enjoying a variety of light refreshments, afternoon tea and entertainment. The lounge itself will be located next to the Canyon Ranch Spa, making it the perfect place to relax after a fitness session or spa treatment. Queen Mary 2’s upcoming refurbishment is due to take place from 27 May to 21 June 2016 at the Blohm & Voss Shipyard, located in Hamburg, Germany. As part of the refurbishment, QM2 will receive fifteen new single occupancy cabins, thirty Britannia Club Balcony staterooms, and a complete overhaul of all of its Club Balcony Cabins. To keep abreast of the latest news from Cunard Line, check back with the Cruise1st UK news channel soon for further updates as they develop.